for her grade 5 class! 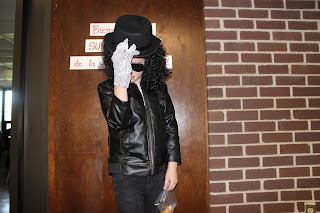 won best costume for his grade 4 class! 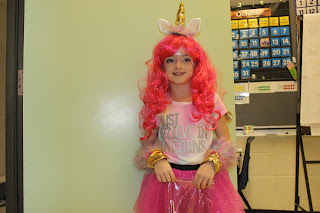 was the beautiful unicorn and won best costume! 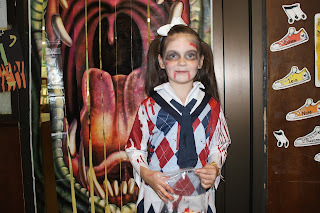 won best costume for her grade 2 class. 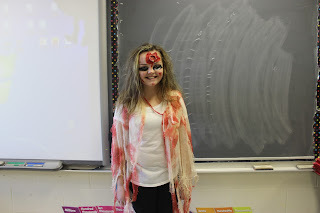 won best costume for Mrs. Lyons grade 1 class! 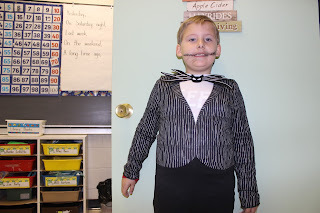 for his grade 1 class. 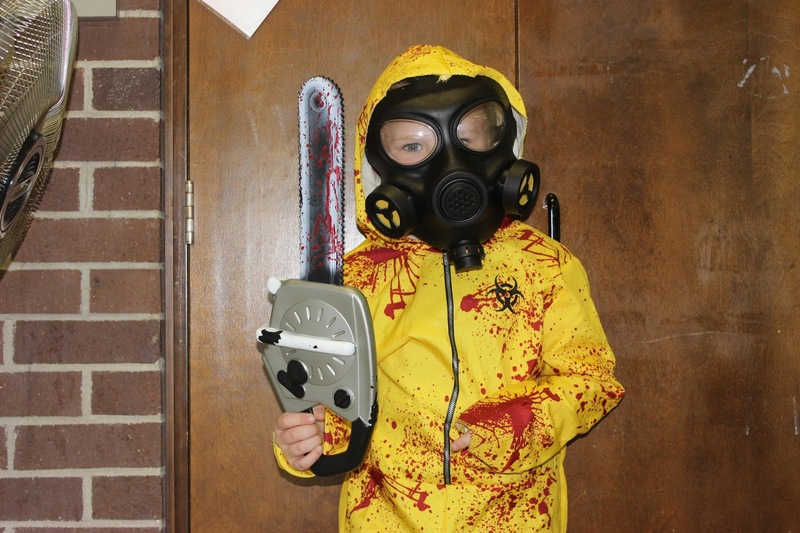 won best costume for his kindergarten class. Students from all over New Brunswick gathered at Harbour Station in Saint John to celebrate Canada's 150th birthday at the "My 150" event. Twelve students from Blackville School got the opportunity to attend this event. As one of the students who attended, I thought that it was a great way to celebrate our country and province. Students from one end of New Brunswick to the other gathered together to share their ideas on how to make our province a better place. There were guest speakers, students and the band Radio Radio, who all got up on stage to share their knowledge, ideas and talents with us. New Brunswick is often put down a lot, especially by New Brunswickers themselves, but after attending this conference and hearing all the great things New Brunswick has to offer, my perspective really changed. At this event, I learned that New Brunswick is one of the best places to live, and although people see it as a place with no opportunities, that isn't true. You have to create your own opportunities. Like guest speaker, Candy Palmater, said "sometimes you have to go get what you need and bring it back home." 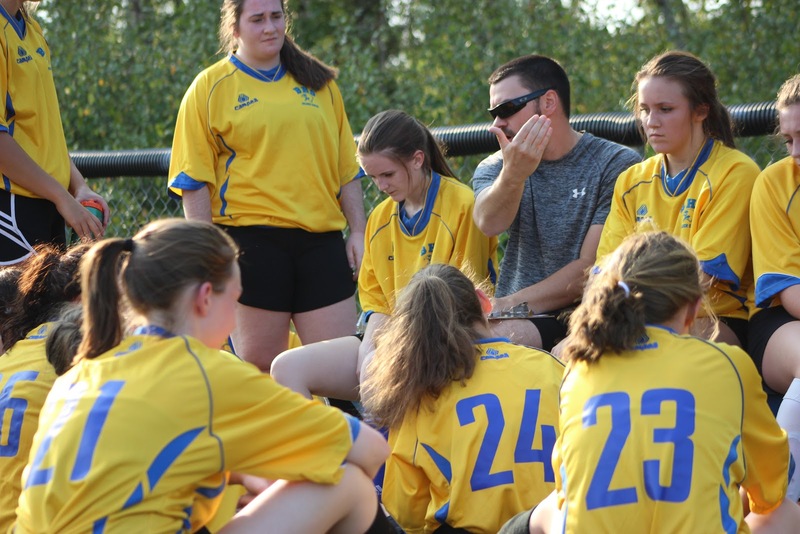 The Senior Boys and Senior Girls soccer teams have made Blackville School history this season. The boys and girls have both finished first place in the Northern Conference, a feat that has never happened before. Both teams have battled hard all season to finish at the top of their respective leagues. The Boys went undefeated in regular season action, with a record of 9-0-1. While the Girls also had an almost perfect season with a record of 6-1-5. Both teams have been playing the best soccer the school has seen in a long time. Check the history books, because this is the first time that both of our High School Soccer teams are heading into Regionals in the number one slots. The first High School Girls Soccer team began in 1995. In the 22 years we have had both boys and girls soccer, this has never been done before. At the beginning of the season, each player had personal goals, but also a team goal, which was to make it to provincials. Both teams are on route to making their dreams come true. Principal and Senior Boys coach, Rodney Buggie, said " We are very proud of both teams because this is a first for our school having both boys and girls finishing first in the North. We have high expectations for our teams and feel confident that they can move onto Provincials next weekend." The Senior Boys will play their biggest game of the season Saturday, October 28 in front of their hometown crowd against Rogersville. The Boys are going to come out firing on all cylinders and ready to go. They are looking for a redemption shot at Provincials, after coming up just short of the Provincial Finals in the previous season. 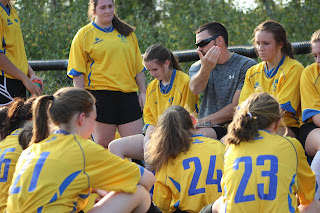 Senior Girls Coach Matthew Sturgeon said, "I think we have a really good chance of advancing to the provincials this weekend if we play our game. We are playing our best soccer of the season right now, and if we can continue that trend, I like our chances against any "A" team in the province." The Senior Girls travel to Saint-Louis-de-Kent on Saturday, October 28th, in their do or die game Vs. Petitcodiac Regional. They have a hard battle ahead of them, but they have the skill and potential to finish strong. This is the Girls' first return to Regionals since the 2015 season. The Eagles have an abundance of hometown support for this upcoming weekend. The High School Boys are expecting a full house at home on Saturday, and the Girls will definitely be bringing their fan base for support on the road as well. 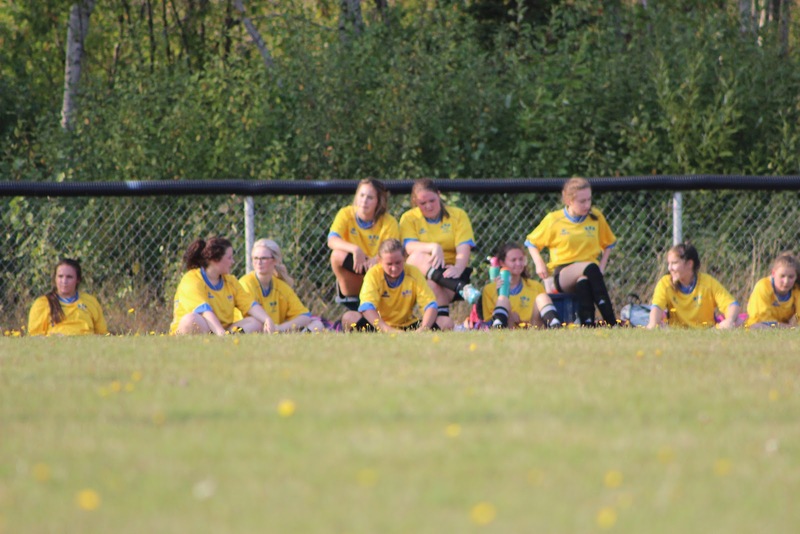 The Blackville community has always had a strong love for soccer. They have two teams that could make them very proud. The entire community is rooting for them in their biggest games of the season. 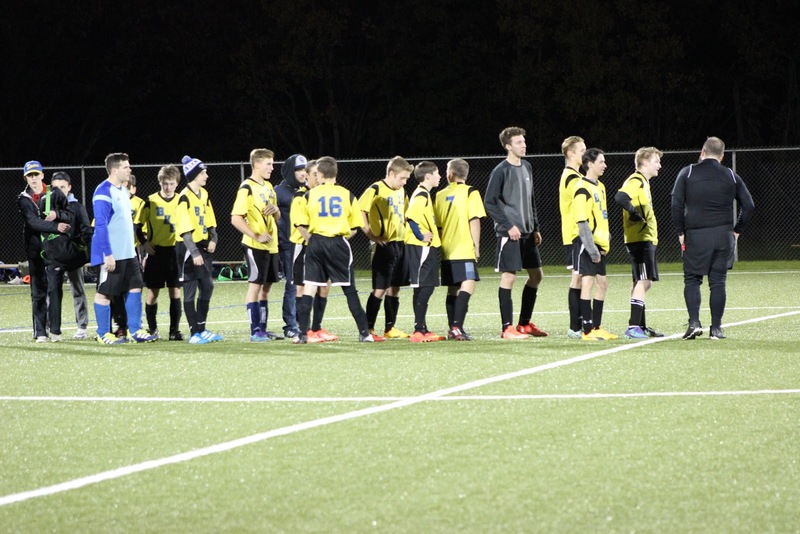 The Senior Boys and Senior Girls soccer teams have taken the first step towards the road to Provincials. The boys have gone undefeated all season long in regular season play and are now set to host the Northeast Regionals on Saturday, October 28. The girls have finished 1st in their respective league, and are on route to regionals. Both teams are prepared for two hard-fought battles knowing that their first games are a do or die mission. It will be a pressure-packed situation, especially in front of the hometown crowd for the boys. Both teams are extremely strong and have come through when needed all season long. We caught up with some Senior Boys players to see what hosting means to them. 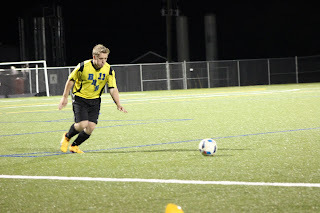 Senior Striker Aaron Walls said, "It is great having the home field advantage and not having to go away to play." 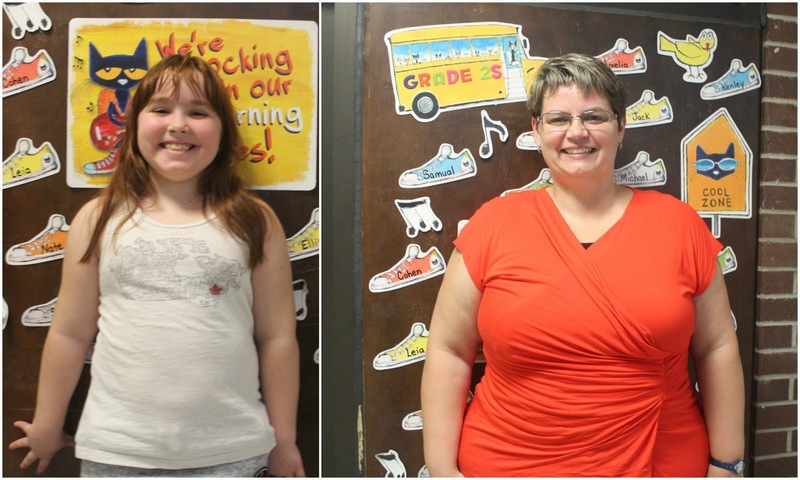 "I think it's a good privilege to show what Blackville School is made out of. 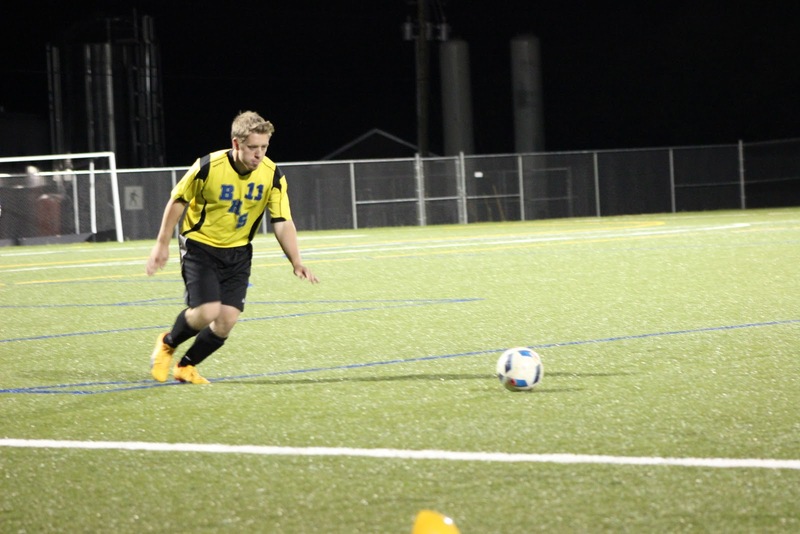 It's a good advantage because we are used to our field," said Keeper Jacob Mercer. "Personally, I see it as a great achievement and going to be a good advantage. We practice all year long on this field and I am sure the boys will want to play even harder on their home ground. We have to keep our focus and work hard; winning is not just going to come to us because we are hosting." Said Senior Midfielder Jesse Frenette. "It is a great privilege to host regionals, and it will help fire us up having our hometown crowd behind us," said Sweeper Denver Donovan. Boys Stopper Garett Donohue said, "We get to enjoy the excitement of our fans, and are able to get the hometown crowd into it". Rookie Striker Preston Gillespie said," I am very excited to have this opportunity in my first season. We have to work hard and play as a team; we've had a great season so far, and just have to keep pushing ourselves each game. Teamwork makes the dream work." Senior Fullback Daniel Richard said, "Hosting regionals is something I've always wanted to experience. Our fans make the biggest difference because they get into it and help raise our teams energy. Hosting helps us big time because we know our field so well and practice here all year. We have to work hard this week, and can't underestimate any team this weekend. If we can stay focused and do that we should have a strong weekend." We also caught up with some Senior Girls players to see what their expectations are for this coming weekend. "I am excited because we never made it that far and I think we will do well," said Rookie Fullback Andrea Lynch. Senior Striker Erin Moody said, "I'm excited for my second chance at regionals. I feel that we have a solid chance at advancing to provincials. Our team has a lot of potential and skill, we definitely deserve to be here, and we just have to continue proving ourselves each game." Senior Fullback Marlee Schofield said, "I am super fired up to head into regionals, especially in the first place slot. The Senior players have one more kick at the can, and I am hoping that we will go all the way; I know that we are capable of it. All season long we've came up huge when we needed to and as long as we keep the right mentality going into the game we can come out on the winning end. It's one final push for glory, and I know that we will leave it all out on the field." German Exchange Student,Carla Ahad, said, "It is my first ever regionals and first season here. I am excited for this opportunity." Keeper K.C. 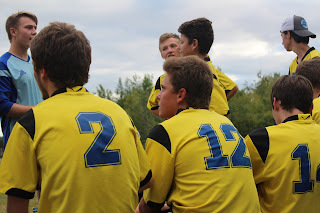 Hallihan said, "I am very excited, I'm hoping to get a big win and head to provincials." "I am super happy that we made it this far, I am hoping to move onto provincials and bring home the banner," says Stopper, Maggie Jardine. As the Senior Girls travel to Saint-Louis-de-Kent to take on Petitcodiac Regional, the Senior Boys play Rogersville on our home field. Don't forget to come out to support the boys in their final push for provincials. The bigger the crowd, the bigger the noise, all support is welcome. Good luck Eagles! 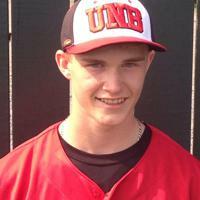 Aaron Dunn, member of the UNB Cougars Baseball team has had an amazing year. Dunn's great season earned him two very prestigious awards for his team. 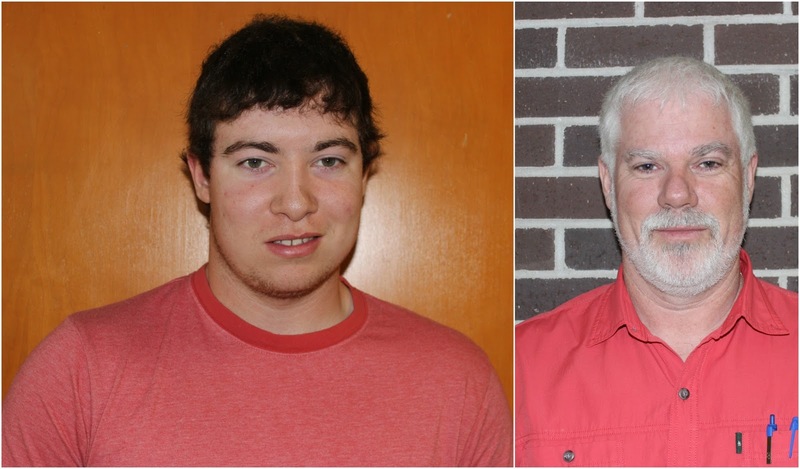 Aaron received Rookie of the Year and Pitcher of the Year for UNB's 2017 baseball season. Dunn was told the great news last Thursday, October 19, and he could not believe it. He thought he had no chance of winning either award. At the beginning of the short season he was not expected to play a huge role on the team, but as the season progressed he continued to prove his dominance, game in and game out. Dunn, who did not even know if he was going to make the final cut for the team this season, never gave up and continued to play hard every chance he got. He is a great example of what BHS athletes are made of. Blackville is definitely very proud to be able to call Dunn an Eagle. Once an Eagle always an Eagle. 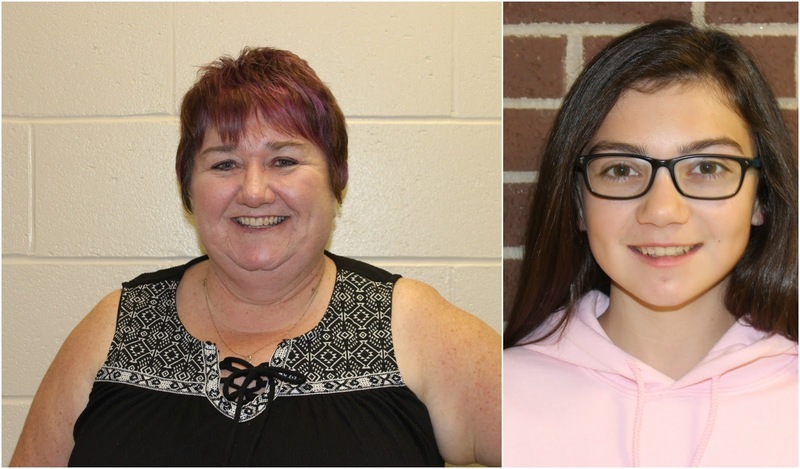 School's In Podcast: Weekly update of what is happening at Blackville School with Amber Walls and Jayden Bell. Heard on Life Radio every Friday evening at 6 pm. for the week of October 27. Way to go Kamryn! Brock Sobey is the Bucket Filler of the week in his grade one class. Brock helps pushing in chairs after class. Keep it up, Brock! Ben McNeil is the Bucket Filler in his grade two class. He is very helpful in the class room. Great job, Ben! She is a great worker. 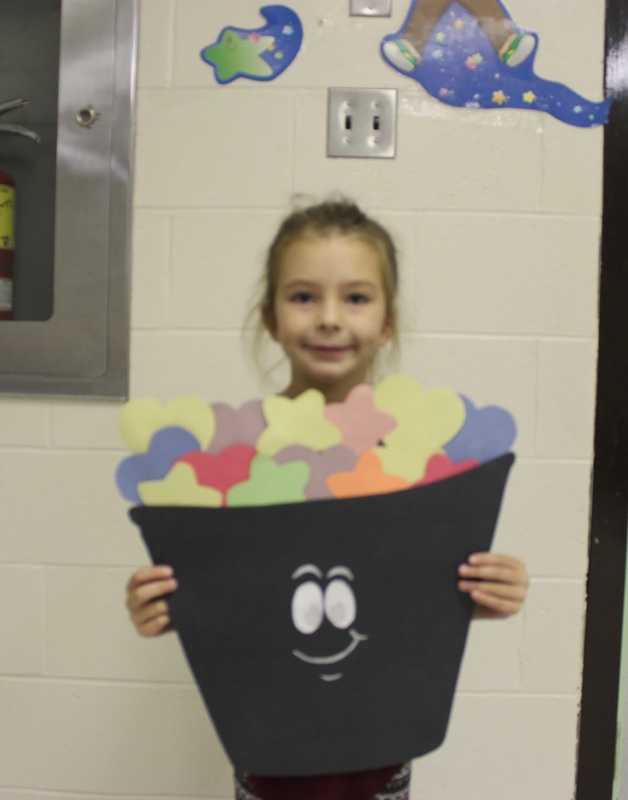 Keep up the good work, Mya! 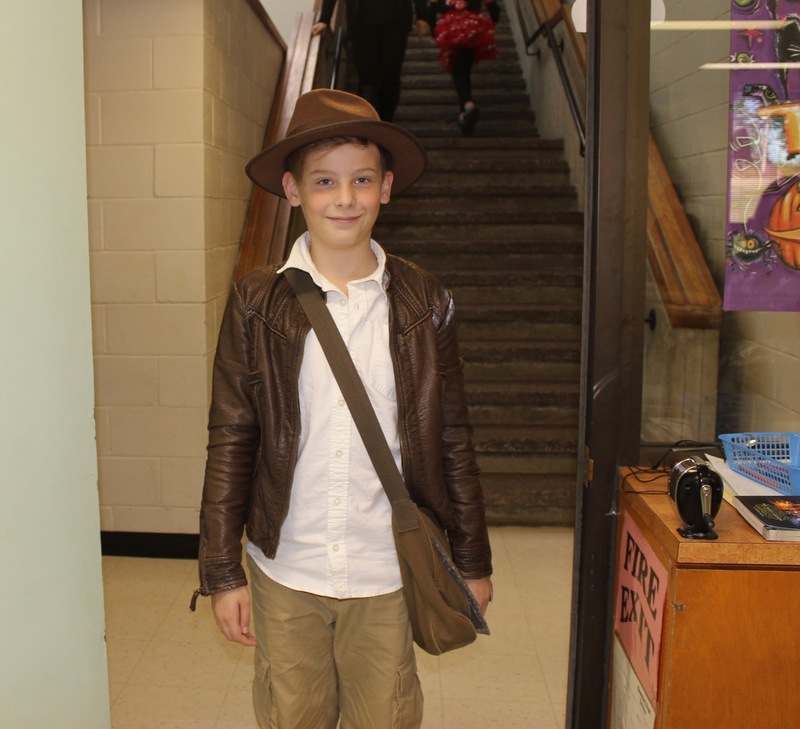 The Student of the Week is Levi Walls, chosen by Madame Haché. 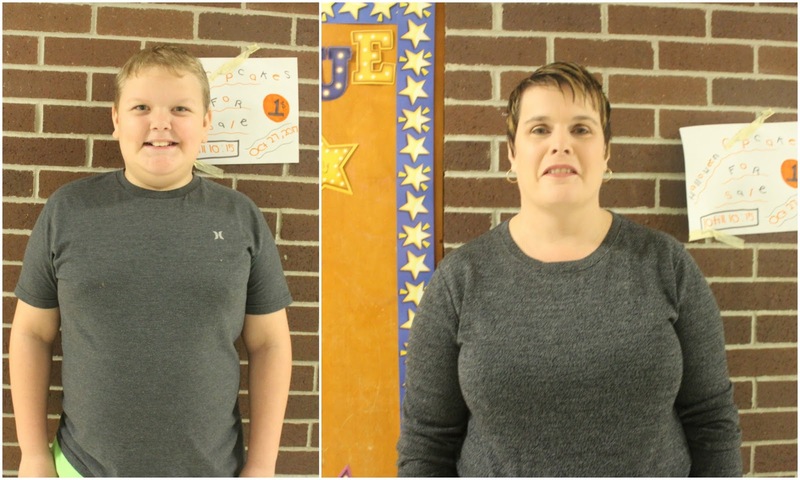 Madame Haché chose Levi because he is always listening, doing what he is supposed to and is always ready to learn. 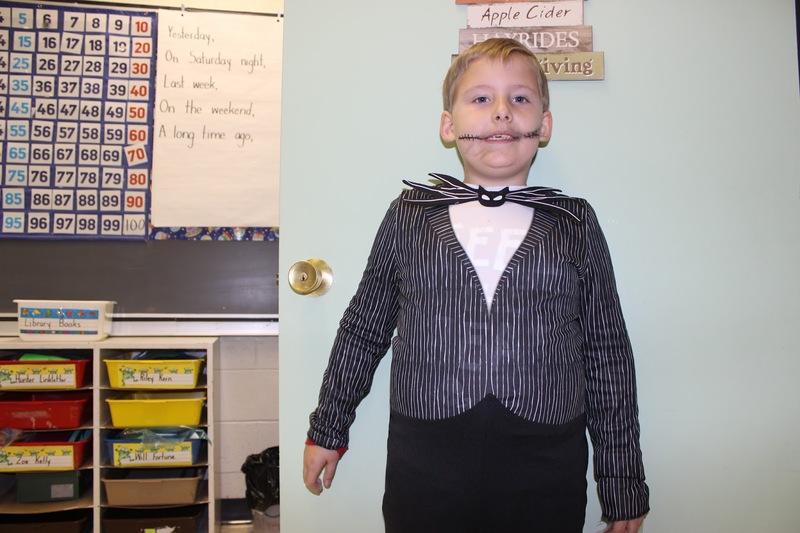 When interviewing Levi, he said his favourite sport was hockey, his favourite food is pancakes, and his favourite class is French. The Teacher of the Week is Mrs. Sobey, chosen by Amelia Chaisson. Amelia chose Mrs. Sobey because she is the best teacher ever. 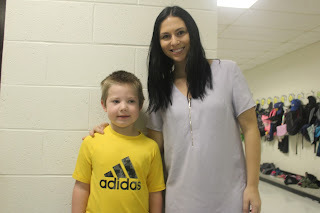 When interviewing Mrs. Sobey, she said her favourite song was Humble and Kind by Tim Mcgraw, her favourite movie is The Notebook, and her favourite time of day is 2:00 pm. 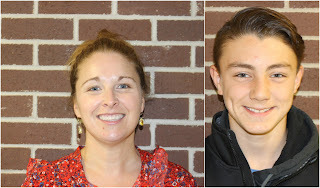 The Staff of the Week is Andrea Donohue, chosen by Landon Underhill. Landon chose Andrea because she's the best, and she is very nice. 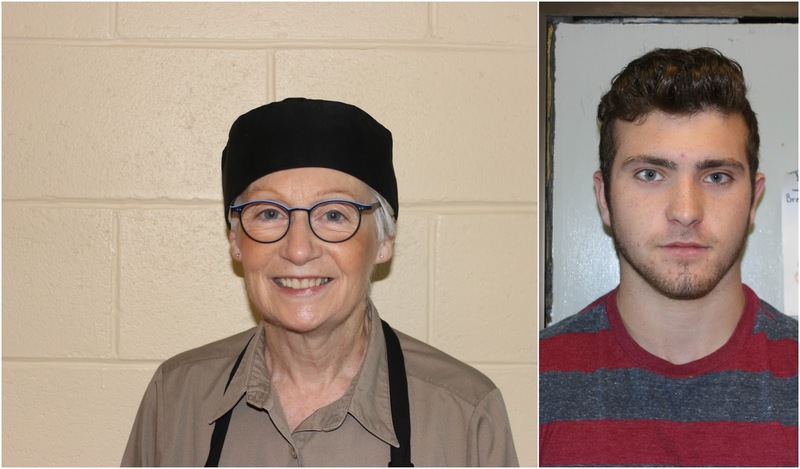 When interviewing Andrea, she said her favourite holiday is Halloween, her favourite food is pasta, and her favourite thing to do is hang out with friends. 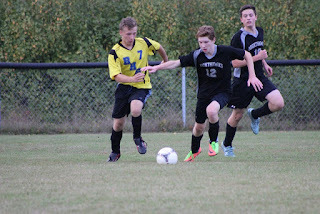 In your Senior Boys soccer action, the boys won their final regular season game Sunday morning against Dalhousie. The boys downed DRHS 3-1 in a close game. Aaron Walls started out strong for the boys, scoring the first goal of the game early in the first half. Daniel Richard came up big with the game-winning goal late in the first half. Garett Donahue secured the win for the boys by scoring late in the second half. This win finalized the boys' undefeated streak. They finished the regular season with a 9-0-1 record, and, to no shock, the boys finished in 1st place, at the top of their league. 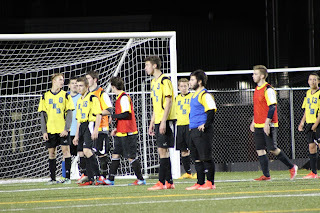 Their hard work has paid off, as they are hosting the Northeast Regionals on Saturday, October 28 on their home field. Don't forget to come out and support your Eagles! 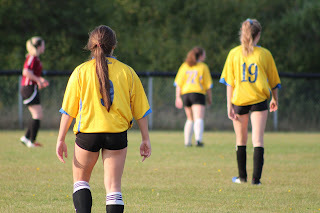 In Senior Girls soccer action, the girls traveled to Sugarloaf and Dalhousie to play their final two games of the regular season. On Saturday morning, the girls came out swinging, knowing that this weekend was a do or die mission for them. They battled hard through the cold conditions that the early hours brought. Being first to every ball and staying in the opposing teams end allowed the girls to capitalize on every opportunity. They finished strong, coming home with a 1-0 win Vs. Sugarloaf. Striker Erin Moody had the lone goal, scoring a beautiful goal to seal the deal in the girls' quest to make regionals. The girls were downed 1-0 by DRHS. They finished their almost perfect season with a 6-1-5 record. The girls are sitting at the top of their league going into regionals this coming Saturday, October 28. Good luck to the girls as they travel to Saint-Louis-de-Kent. The Middle School Boys traveled to Dr. Losier to play in their final jamboree. They were downed 4-0 by Dr. Losier and 2-0 by Nelson, but, hey never gave up. The boys battled hard throughout the entire day, finishing the season in 4th place. Congratulations on the well-played season, boys! The Middle School Girls, played on Friday at home showcasing an abundance of talent for our hometown fans. They came out with a 5-0 win against CNBA. Kensen Brennan lead the way with 3 goals, while Amber Walls and Ashley Mador had one goal each. The girls return to action on Friday at their final Jamboree. Good luck, girls! The High School Boys came out swinging Tuesday in their game against CNBA. The boys rallied hard for a 5-0 win. Denver Donovan got the boys rolling with a perfectly placed goal off of a penalty shot. Peyton Gillespie, Avery Brennan, Jesse Frenette and Ethan Whalen all had one goal each. The boys played under the lights on Wednesday at the Turf Field in Chatham for an exhibition game vs MVHS. In a hard-fought battle, the boys lost 3-1 against the MVHS Varsity team. The boys have clinched 1st place in their respective league and are still undefeated in the regular season with an 8-0-1 record. Their quest to host regionals has come to an end, as they are the definite hosts. Their final game of the regular season is Sunday, October, 22 at home. Don't forget to come and support your Eagles on our home field at Regionals! The High School Girls kept their undefeated season going with two big ties on the weekend against Sugarloaf and Dalhousie. 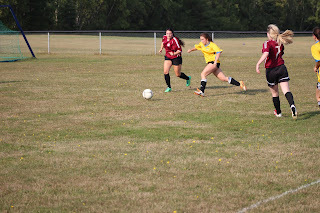 The girls managed to escape with a 1-1 tie against Sugarloaf in the first game Saturday morning. Scoring the lone goal for the Eagles was Abby Donovan. In the second game of the afternoon, against Dalhousie, the girls also tied 1-1. Abby Donovan scored an amazing goal in this one to help the girls pull out the tie. The girls followed this up with a huge 6-0 win at home against BSA. Courtney Donahue got the girls rolling with scoring a beauty of a goal, staying patient at the top of the 18-yard box paid off for her in this game, and Jaime Vickers assisted this goal. Courtney Donahue had 2 goals on the night, Erin Moody had 2 goals also. Abby Donovan and Jaime Vickers had 1 goal each. This big win continued their undefeated streak with a 5-0-5 record. The girls have an extremely important weekend coming up in their chase for a position in regionals. The girls play in Dalhousie and Sugarloaf Saturday morning; Good Luck girls, come home with two big wins! In Middle School Boys soccer action, the boys were downed 3-2 by Rexton. This tight match had the boys come just short of the win. Thomas Dunn and Hudson Underhill each had a goal for the night. This thriller was their last game of the regular season. The boys return to action at the final Jamboree. The Middle School Girls return to action this Friday, October 20 at home against CNBA. Good Luck girls! The High School male athlete of the month for September is Garett Donohue. He received the acknowledgment for being an all-around player. Donohue is a great team player, he plays many positions very well when called upon. Garett has played Goalie, Fullback and Forward for the boys team; he is a big part of the team being undefeated, so far. He plays a big role on the High School Boys team and helps in its success. Garett has high expectations for the season. He would like to win another provincial title. Donahue has 2 goals in this season and came up big in the net, coming home with a 2-1 win against Stanley. Garett believes the boys have the team to make it all the way. The High School female athlete of the month of September is Laura Colford. She received this acknowledgment because of her involvement in soccer. Laura is the center midfielder for most games and controls the midfield. She always plays hard and never gives up on a play. Colford has 3 goals in this season and hopes to continue to create scoring opportunities for the girls. She puts in countless hours on and off the field during the season and off-season practicing and improving. Laura hopes that the girls have a big weekend to help them secure a spot in regionals. She believes the girls have had a very good season so far and have the potential to go all the way. The Middle School male athlete of the month for September is Thomas Dunn, for his great achievements in soccer. 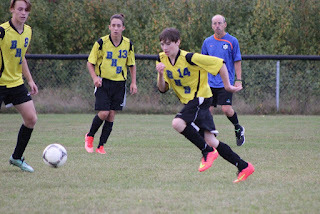 He scored 5 goals in one game this season and is a great team player and all-around athlete. He gets along very well with others and works hard in and out of school. Thomas is a striker for the boy's team, and he has scored 10 goals this season within 5 games. Dunn has high hopes to make it through the jamboree and come out with the banner. The Middle School female athlete of the month of September is Kensen Brennan for her involvement in soccer. Kensen is the captain of the middle school girls soccer team. Brennan is a very hard worker and always gives 100% effort. Kensen plays because she enjoys the thrill of the game. She is a striker and has 2 goals and 1 assist so far this season. Brennan has high hopes for the season and believes that they have the potential to come up big in the jamboree. She is very happy with the performance of the team so far and believes they have the potential and skill to finish the season strong. 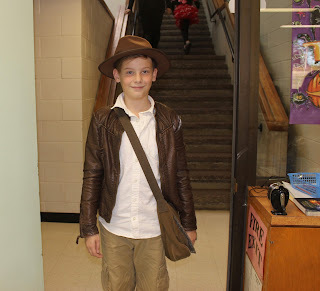 The student of the week is Peyton Jardine of grade 6. 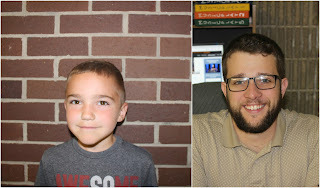 Peyton was chosen by Mr. Lenhert. 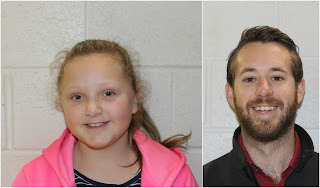 Mr. Lenhert decided to pick Peyton because she is a hard worker and always has a good attitude. 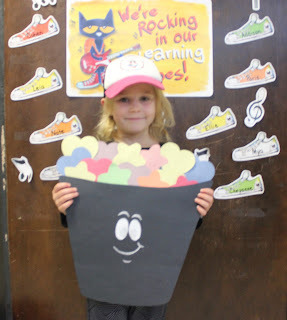 Peyton's favourite class is gym, and her favourite movie is Megan Leavy. Peyton's favourite song is "Lose Yourself" by Eminem. The teacher of the week is Mrs. P. Davidson. 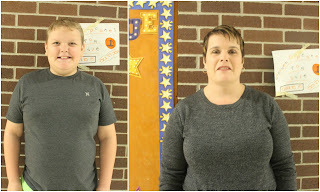 Ms. Davidson was chosen by Hudson Underhill of grade 8. Hudson decided to pick Ms. Davidson because "she is chill." Mr. Davidson said her favourite food is Mexican and her favourite Holiday is Thanksgiving. Ms. Davidson's favourite thing to do is spend time with family. The staff of the week is Loretta Gorbett. 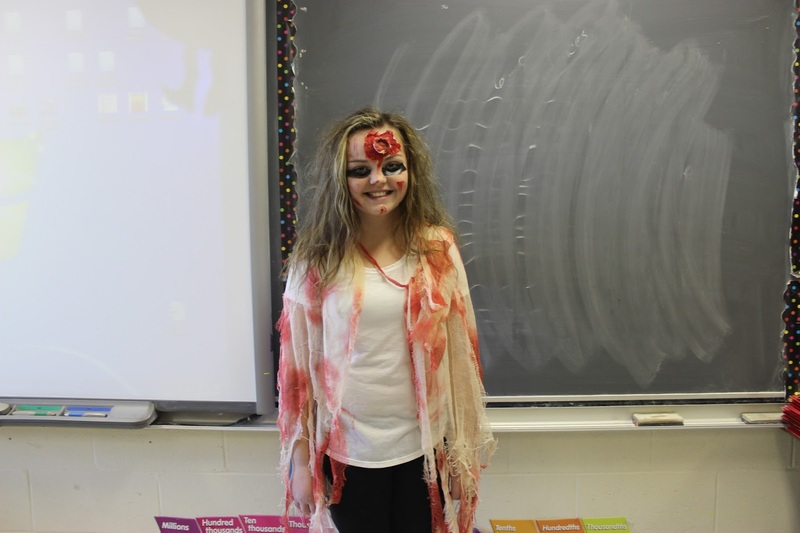 Loretta was chosen by Emma Hallihan of grade 8. Emma decided to pick her because she is a very nice, and a good secretary. Loretta, said her favourite time of the day is 3:45 pm when she gets to go home, and her favourite movie is Twilight. Her favourite song is "Geronimo." On Friday, October 13, Blackville School held an assembly to give out prizes for people who participated in the Walk-a-Thon the previous week. 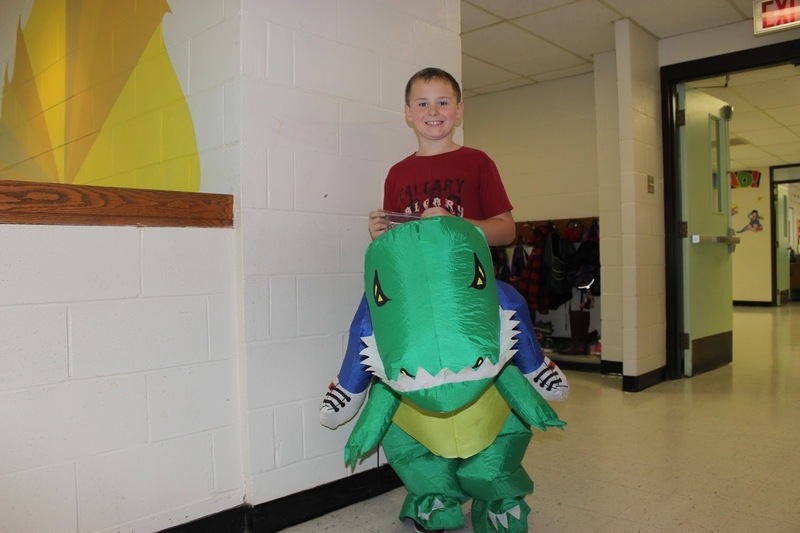 There were prizes given to students, teachers, and classes who raised the most money. There were also many more prizes that were drawn for from the list of participants. Elementary kids were ecstatic when Grade 3 student Allie Hallihan was the lucky student who got to throw a pie in Mr. Buggie's face. University freshman Aaron Dunn is having an amazing start to his university life, playing with the UNB Cougars in Fredericton. He grew up in Blackville and went to BHS from K-12. His first years of baseball were played in Blackville, where he was coached by his mother Dawn. Dunn played hockey and soccer at Blackville School last season and was a member of the Provincial Championship soccer team in grade 11. Dunn played AAA ball for his first year of Bantam as a member of the Chatham Ironmen. After this, Dunn became a member of the Miramichi Twins, where he played at the A level ball for three years, before playing at the AA level in his final season. As a member of the Twins, Dunn won back to back Provincial Championship Titles during the 2015 and 2016 seasons. He was a huge part of these teams success with his all-star pitching and playing third base. Dunn also was picked up by the Chatham Head Tigers for the Atlantics in 2016. 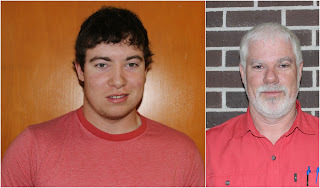 He went to UNB to be an Engineering Student, but his big goal was to make it onto the baseball team. He did much more than that. Dunn made it onto one of the best University ball teams in the country. 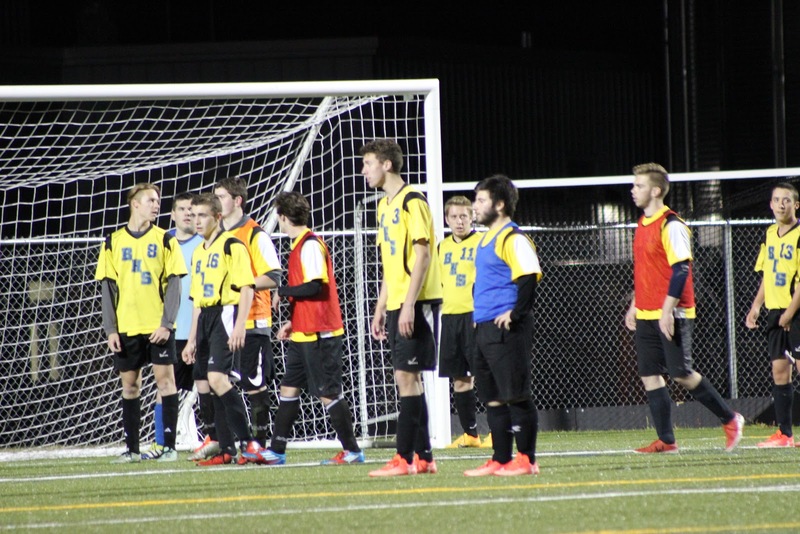 UNB Fredericton is set to host the Nationals this weekend at Royals Field. Games are October 19 - 22. UNB plays Thursday at 6:30 PM, Friday at 7:00 PM, and Saturday at 1:00 PM. They may also play Sunday depending on how they progress. We were able to catch up with Dunn and ask him a few questions in between his practices and classes. Do you find it difficult managing your time between baseball and classwork? Yeah, I do find it hard, I usually try to get my work done as soon as possible so that I don't get behind on it. Did you think you had a good shot to make the team as a freshman? Honestly, I thought I wasn't going to make the team. It took me by a big surprise. How were University baseball tryouts different than others you have taken part in? The tryouts were different then others I have been a part of because they tried us all in games instead of using drills. Do you find that university ball is a lot different than minor ball was? In university, the pitchers throw a lot harder and the batters hit a lot harder too. As a pitcher, I realized I can't get away with just throwing fastballs anymore." Were you nervous the first time you stepped onto the mound with your Cougars jersey on? Yeah, I was nervous, but I knew that I had to play my best, so I tried my best to not think about it. How do you enjoy playing in front of the larger crowds this season? I like playing in front of big crowds because it helps get me pumped up. What has your role with the team been so far this season? So far I am just a relief pitcher for the team, every now and then I play some 3rd base. At the beginning of the season did you expect the team to make it this far?
" I thought we would have a good team, but I didn't know how far we would go." How do you think the team will perform this weekend? I think we have a good enough team to win it all, as long as we stay focused and keep our heads in the game. What team do you expect will be your biggest competition in this upcoming weekend? McGill probably, they won Nationals the last two seasons. Dunn says he plans on playing ball next summer, and he will definitely be trying out for the UNB team again. The Cougars were third in the Atlantic conference, which was good enough for a spot in Nationals. In the regular season, Dunn pitched the second most innings on the team, with 15 1/3, and is 5th on the team in strikeouts as a pitcher. He had a 3.5 Earned Runs Against average during the regular season, which is very strong. As a hitter, Dunn was sporting a .250 batting average in a limited number of plate appearances and drove in two runs. Dunn did not strike-out this season as a hitter. Dunn and the Cougars are going to need all the support they can get. He is hoping for a big Blackville crowd to come out to the games this weekend. BHS always supports their Alumni and this weekend will be no exception. The entire Blackville community is wishing Aaron and the Cougars the best of luck. 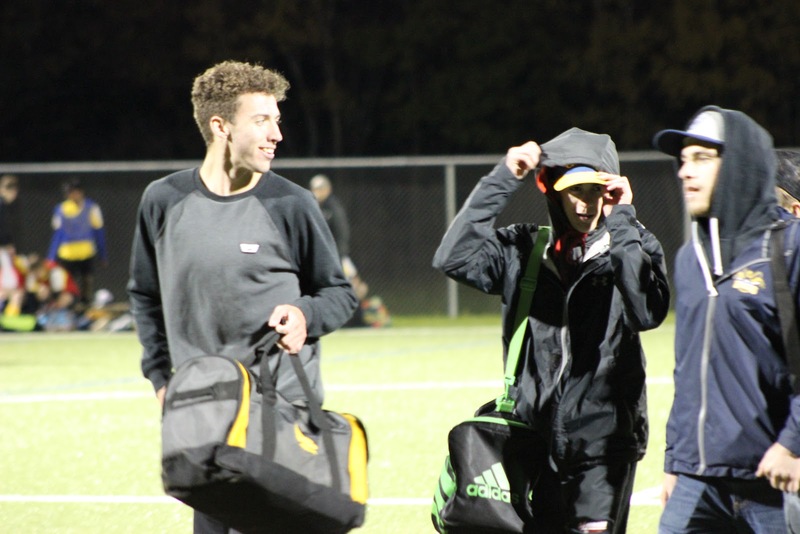 The High School Boys team continued their quest to host Regionals last week. The boys tied against Stanley 2-2 in a fast-paced thriller. 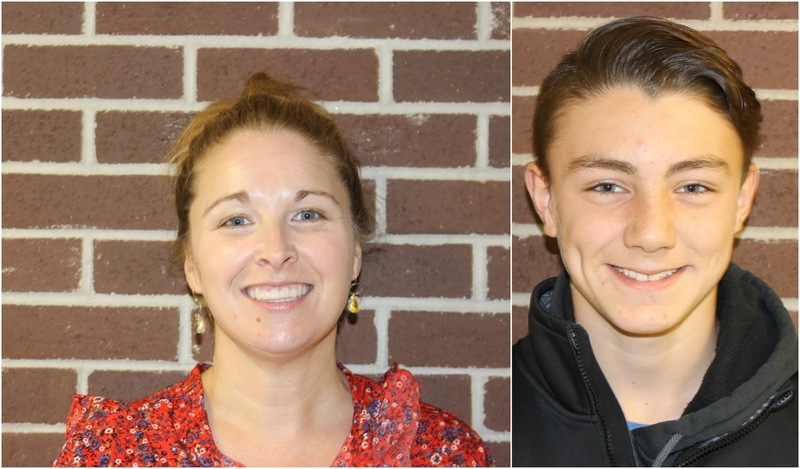 Scoring for the Eagles was Avery Brennan and Denver Donovan. The boys followed up strong with a win against BSA 9-0. Avery Brennan and Aaron Walls lead the way with 3 goals each. Garrett Donahue had 2 goals while rookie Keaton Walls scored his first goal of his High School career. On Thursday, the boy's team ventured to the Turf Field in Chatham. They came out swinging and beat NSER. The boys defeated NSER with a score of 6-0. Goals for the Eagles were scored by Avery Brennan and Peyton Gillespie with 2 goals each, solo goals were scored by Drake Donovan and Aaron Walls.The boys are still undefeated with a 7-0-1 season and currently sitting at 1st place in the league. High School Girls tied Stanley 1-1 in a nail-biter. Both teams battled hard, the Eagles played a well rounded offensive and defensive game. Abby Donovan had the lone goal while keeper KC Hallihan displayed fantastic efforts in the net, coming home with an almost perfect night. The girls traveled to CNBA and came home with a 9-0 win. The Eagles capitalized on every opportunity; Tori Sullivan got the goals rolling, scoring the first goal of the game. Keeper KC Hallihan scored a goal while taking a penalty shot. Erin Moody returned to the season after being out with an injury with a strong first night back, scoring 2 goals. Moody scored an absolute beauty of a goal, shooting from just outside of the 18-yard box. Abby Donovan also had 2 goals on the night. 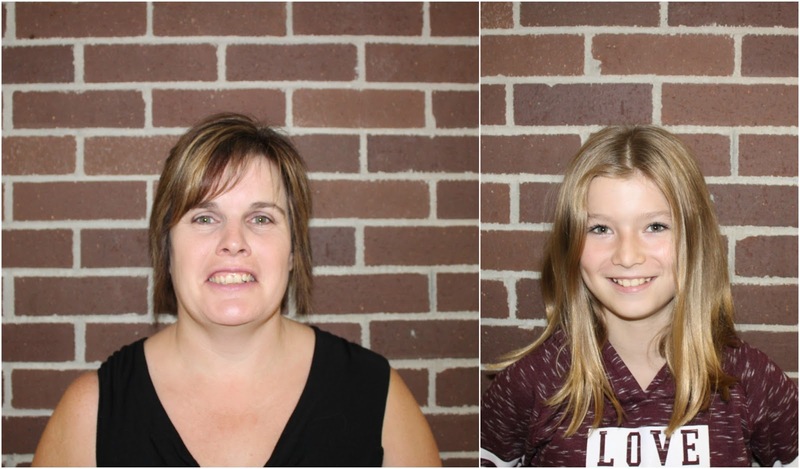 Laura Colford, Jaime Vickers, and Piper Duffy had single goals themselves. 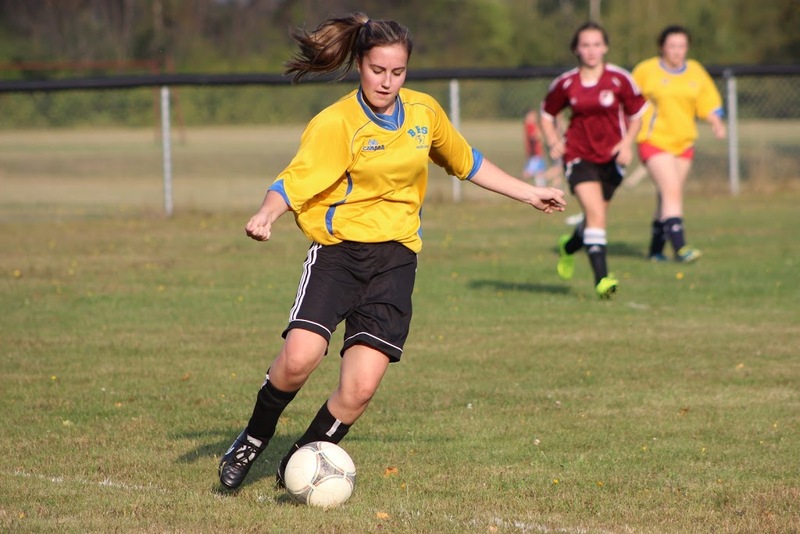 The Senior Girls have kept their undefeated streak intact, having a 4-0-3 season. They are currently sitting in 1st place, at the top of the league. Middle School Boys fought hard to pull out a 3-3 tie against Carrefour Beausoleil. Hudson Underhill headed the mission with 2 goals and Thomas Dunn had 1 goal. The boys then suffered an upsetting defeat, losing 4-2 to Dr. Losier. Thomas Dunn scored both times for the Eagles. The boys play their final game at Elenor Graham this week. Good luck, boys! The Middle School Girls tied Max Aiken Acadamy 0-0 in a hard-fought battle. The girls played extremely well and came out with a tie. Extraordinary efforts from keeper Layla Hallihan kept the girls on pace for the tie. This is Layla Hallihan's 3rd shutout of the season. The girls return to action this week against CNBA on October 20 at home and play in Dr. Losier. 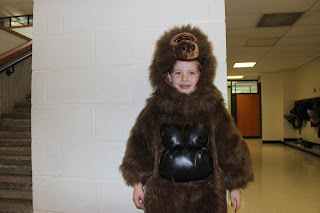 The student of the week is Chad Curtis of grade 12B. Chad was chosen by Mr. T Grattan. 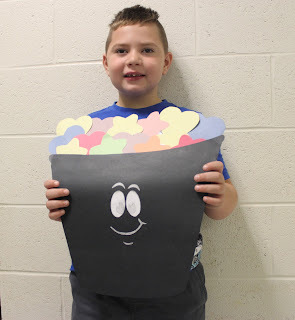 Mr. Grattan decided to pick Chad because he is a great worker and is always very cooperative in class. Chad's favourite class is Shop, and his favourite movie is The Dukes of Hazard. Chad's favourite song is T.N.T by ACDC. The teacher of the week is Mr. M. Sturgeon. 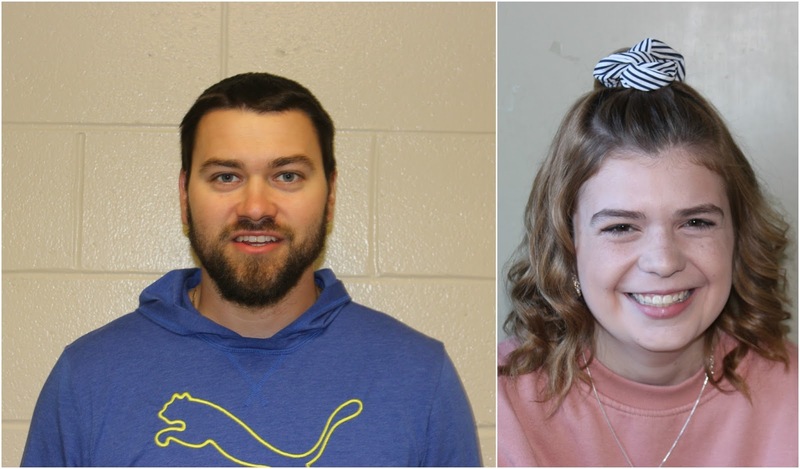 Mr. Sturgeon was chosen by Delanie Coughlan of grade 12. Delanie decided to pick Mr. Sturgeon because he is a very nice teacher. Mr. Sturgeon said his favourite time of the day is 3:00 pm when he gets to go home, and his favourite movie is The Godfather. Mr. Sturgeon's favourite song is Simple Man by Lynyrd Skynyrd. The staff of the week is Bernadette MacWilliams Bernadette was chosen by Aaron Walls of grade 12. Aaron decided to pick her because she is a very nice cafeteria worker and friendly and has also been here since Aaron has started school. 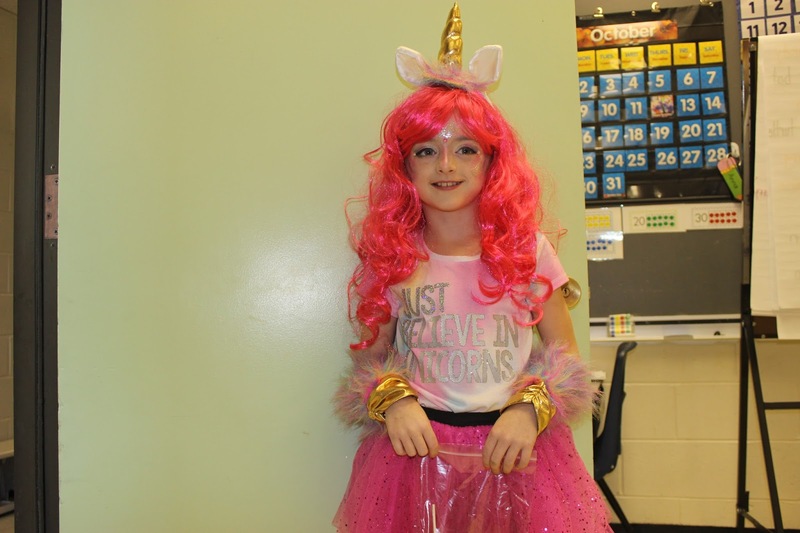 Bernadette, said her favourite time of the day is 2:00 pm when she gets to go home, and her favourite movie is Maudie. Her favourite song is Could I Have This Dance. The BHS leadership class of 2017 is organizing a community walk that will be held on Sunday, October 29. There is a cost of $10 to register for the walk, and each participant will receive a commemorative water bottle. 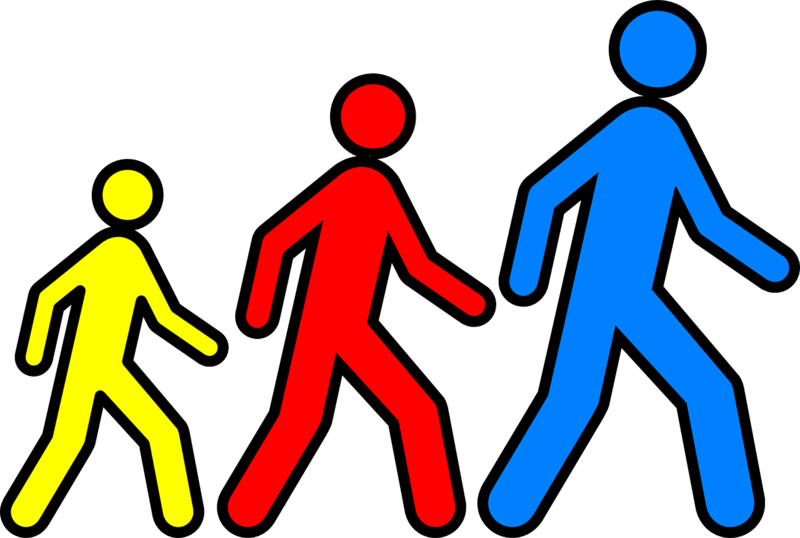 The walk will begin at 2 pm in the Blackville Municipal Park. The participants will be divided by age (under 13, 14-18, 18-30, and 30-50). Winners in each age group will get a $50 Sportchek gift card. A Fitbit Charge will also be drawn for from the list of participants. Leadership 120 teacher Matthew Sturgeon says, "The class has worked very hard on the preparation of the event, and has gained a lot of support from local sponsors, so it would be great to get a big crowd." 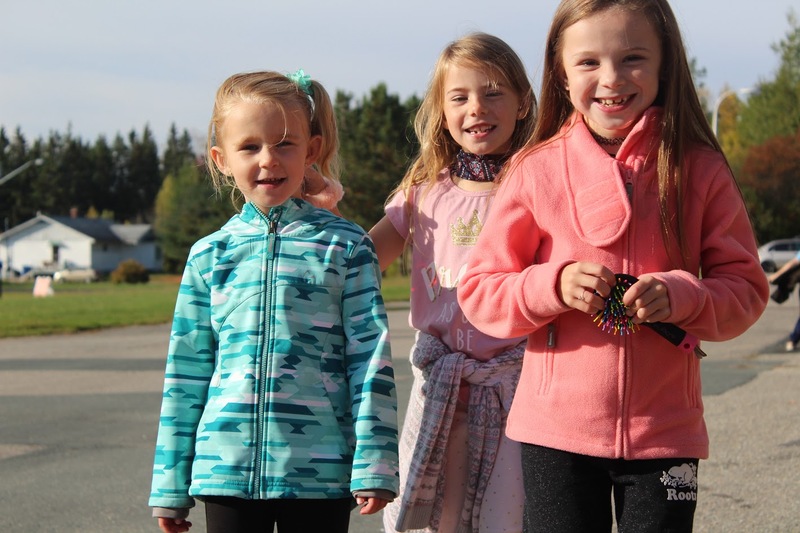 Blackville School held their second annual walk-a-thon on Friday, October 6. Students were asked to bring in $10 in order to participate in the walk. The school raised $6021.70 in total. The money raised will go towards a fence for the elementary soccer field. Middle and High school students walked 10 kilometers, while elementary students walked 3 kilometers. There will be a BBQ held on Friday, October 13 for the students that participated in the walk. There will also be draws for many different prizes. 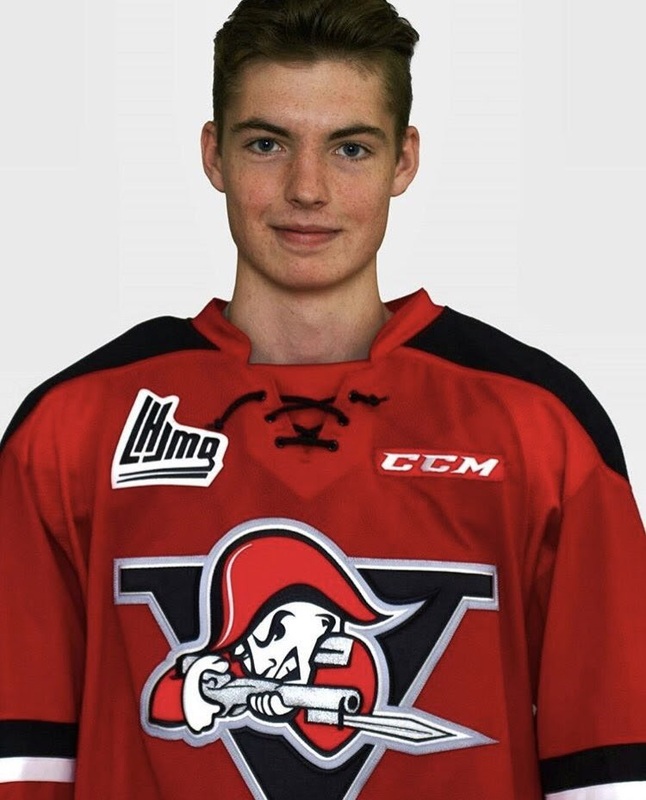 Grade 12 student Daniel Moody is experiencing the thrill of a lifetime playing in the QMJHL for the Drummondville Voltigeurs. Moody spent his K-11 years at Blackville High School and then left this September for Quebec to pursue his hockey dreams. He was a big part of the high school boys soccer team and surely has been missed in this powerhouse season. After being drafted by the Victoriaville Tigres in the 2016 QMJHL draft, Moody continued to chase his dream of playing in the Q. After a late trade during the training camp portion of the season, Moody was awarded a spot on the Drummondville Voltigeurs 2017-2018 roster. On Saturday, September 30, Daniel played against the Baie Comeau Drakkar for his first regular-season win. In a thrilling game, the Voltigeurs rallied back to beat the Drakkar 8-5. 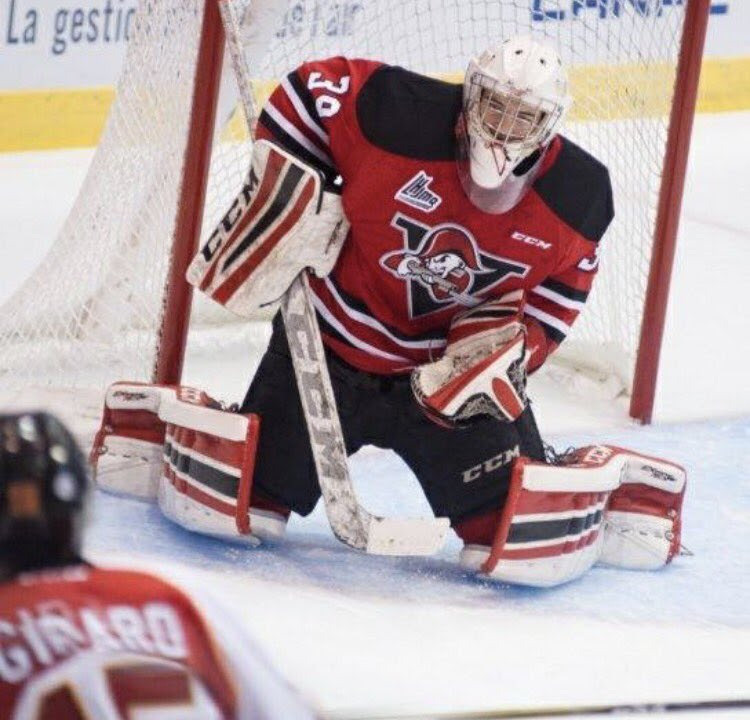 Moody had a fantastic game in net and an even better start to his QMJHL career. Daniel has played at the highest level possible for his age each year of his career. He started with the Miramichi Junior Timberwolves in Atom AA, and then moved on to play 2 years with the Peewee AAA Miramichi Rivermen. He then played for the Bantam AAA Miramichi Riverman and Bantam Major Miramichi/Acadian Peninsula AAA team. Moody spent the last 2 years stopping pucks for the Miramichi Midget AAA Rivermen. He never missed a beat, representing his province at the Atlantic Cup Challenge each year, participating on the U14 and U15 HNB teams. Moody was named to the U16 HNB team and took part in the Gatorade Excellence Challenge in Quebec during 2016. His excellent efforts did not go unnoticed; Moody has received many exciting awards throughout his AAA career. His favourite pastime for the past 10 years of his life has most definitely been stopping pucks. Moody was able to take some time out of his busy day to day schedule to answer some questions about how this new part of his life is developing. "What were your initial thoughts and feelings when you realized that you were named to the Drummondville Voltigeurs roster?" "When I found out I was traded from Victoriaville, everything came very quickly. It was pretty unexpected and a pretty crazy day. When I arrived in Drummondville, everything was new, but I was extremely excited for the opportunity. Knowing a few players on the team made it easier to adapt to the new environment. The coaching staff was great in getting me settled in." Moody explained. "How has it been adjusting to the new school and new team?" "It is definitely a big change, online schooling and being on the ice every day took some time to get adjusted to, but Drummondville is a first class organization and has made the transition much easier," Moody replied. "How have you been enjoying the billeting process?" "My billet family is absolutely great. They are very supportive and my billet brother is also great to stay with. They make it much easier being away from home." "How did it feel to finally get that first QMJHL win under your belt?" "It was a pretty nice moment, something I have been working towards for a long time. The team is playing very well, and we are looking to keep it going!" "What does it mean to you to put on the Voltigeurs jersey each game?" "This is a very prestigious organization, putting this jersey on is something I have dreamed of for a long time. I think with the group of guys that we have now, it makes it that much more fun. Our coaching staff is top notch and the entire city seems to support the team in a great way. I really can't put into words what it is truly like." "What kind of atmosphere do the Voltigeur fans bring to the Arena each game?" "The fans are great. So far the rink has been nearly filled for both of our home games. You can really tell the city supports the team and its players. Even out and about in the city, there are a lot of people who are interested and care about the players." "What is it like with your teammates outside of the rink?" "This is a great city to play hockey in. When we are not at the rink, there are tons of things to do and places to go. It is nice to have a social life as well. It is definitely a different environment compared to Blackville, but I am really enjoying how everything is going." "Is there anyone in particular that you would like to thank for helping you get to where you are today?" "There are far too many people to name. Everyone has made an impact to get me to where I am today. My parents have been my number one supporters since day one and have given me the opportunity to chase my dreams. My goaltending coach Dave Kennedy along with all of the Atlantic Goaltending Academy have improved my game year after year. One of my former coaches Phillip Jardine is a big part of my success." Moody sends his gratitude to them. Moody has high hopes for what the future has for his team and himself. He is taking it one day at a time for now. He is hopeful that some opportunities may come up but, for now, he is focused on the team's success and getting better each day. As an athlete, Moody knows that there is always room for improvement, and he is more than ready to rise to each challenge that he will face throughout his career. The entire Blackville community is behind Moody, extremely proud of each and every single one of his accomplishments. The community wishes the Drummondville Voltigeurs and Daniel himself the best of luck throughout this upcoming season. Moody doesn't just have an arena full of fans, he has an entire community backing him up all the way. 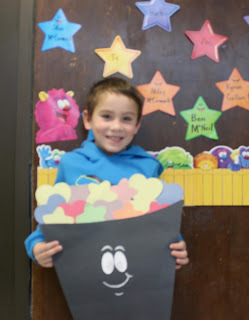 Mr. Hache has chosen Mikah Beach as this week's elementary student of the week. Mr. Hache chose Mikah because he is a great listener. Mikah's favorite movie is Star Wars. 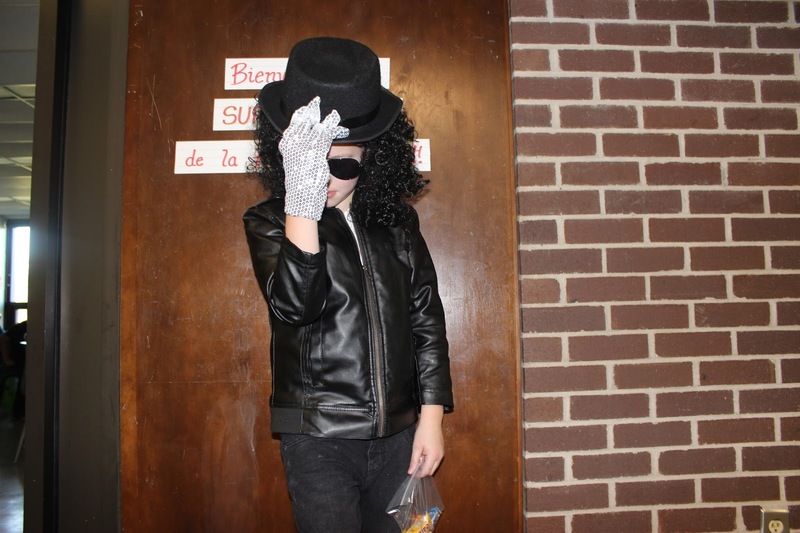 His favorite class is French and his favourite color is blue. 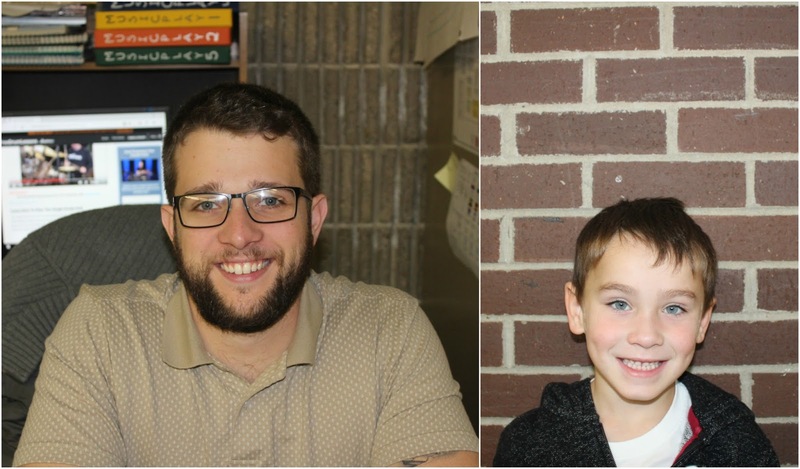 Ben McNeil has chosen Mr. Hache as the teacher of the week. 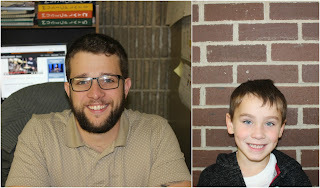 He has chosen him because Mr. Hache is friends with Ben's dad and uncle. Mr. Hache's favourite song is Powder Finger. His favourite movie is O'Brother Where Art Thou and his favourite time of the day is lunch time. Jordyn Curtis has chosen Andrea Donohue as the staff member of the week. 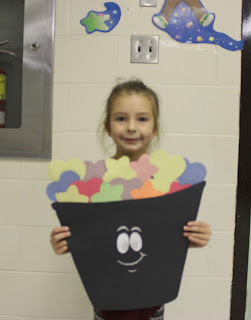 Jordyn has chosen Andrea because she always helps out in her class. Andrea's favourite song is any song sung by Eric Church. Her favourite movie is Beaches and her favourite time of the day is the evening, when she gets to relax. Senior Girls and Senior Boys soccer teams were both undefeated going into the final weekend of soccer action for the month of September. Senior girls defeated NSER 1-0 to set the tone high for the 2017 season. Erin Moody had the lone goal. They then went on to tie NSER 2-2 and Stanley 0-0 the following week; scoring for the Eagles was Tori Sullivan and Laura Colford. In an exciting tilt vs BSA, the girls rallied back being down 2-0 after the first half to defeat BSA 4-2. Abby Donovan lead the way with 2 goals and 1 assist, while Tori Sullivan and Laura Colford each had a goal. The girls followed up with a strong 6-1 win against CNBA, leading the way was Abby Donovan with 2 goals. Other goals came from Olivia Buggie, Hayley Underhill, Tori Sullivan, and Jaime Vickers. Senior Boys started off the season with a nail-biter game vs Stanley, coming out strong with the 2-1 win. Garett Donahue made fantastic efforts in net, saving a for sure goal, in the dying seconds of the game, along with Drake Donovan and rookie Preston Gillespie with the goals. The boys then downed NSER 9-3. Aaron Walls lead the way with 3 goals and Preston Gillespie with 2, other goals were scored by: Avery Brennan, Peyton Gillespie, Drake Donovan, and Ethan Whalen. That week, the boys also defeated DRHS 5-1 in a well-rounded team effort, goals were made by Aaron Walls, Avery Brennan, Peyton Gillespie, William Schofield, and Drake Donovan. The boys followed this up with a strong game against BSA defeating them 13-0, goal scorers were: William Schofield, Aaron Walls, Peyton Gillespie, and Preston Gillespie with 2 each. Single goals were by Daniel Richard, Denver Donovan, Drake Donovan, Avery Brennan, and Ethan Whalen. The boys followed this up with a huge 3-0 win against a strong CNBA team, Avery Brennan, Aaron Walls, and Preston Gillespie scored the goals. In middle school boys soccer action, the boys lost their first game 3-2 against Max Aitken, goals were scored by Thomas Dunn and Hudson Underhill. In their next game, the boys started out slow falling behind early to Natoaganeg before battling back to capture the 9-6 win. Leading the way for the Eagles was Thomas Dunn scoring 5 goals, and Hudson Underhill with 2. Other goals were made by Kyle Maillet and Kale Hallihan. 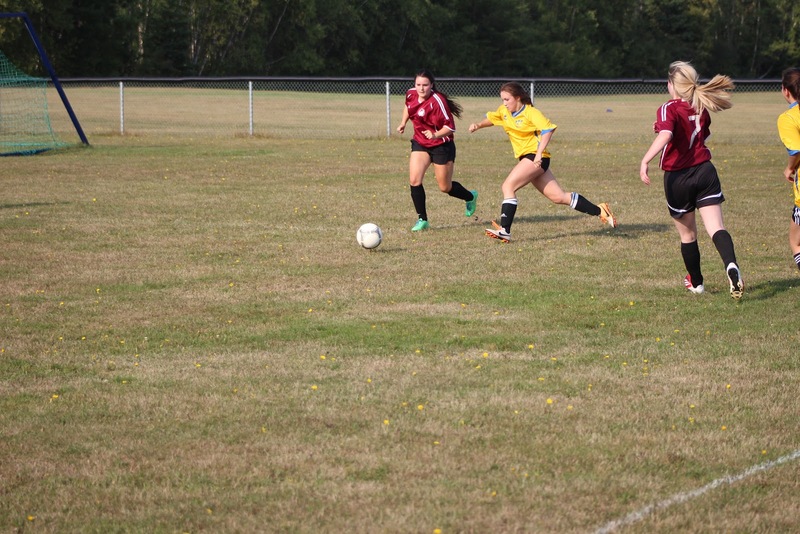 In Middle School Girls soccer action, the girls were downed 3-1 by NSER; Hailey Singer had the lone goal. The girls game back swinging in their next game, beating NSER 4-0. Kensen Brennan headed the mission with 2 goals while Jorja Donovan and Emma Hallihan had one goal each. 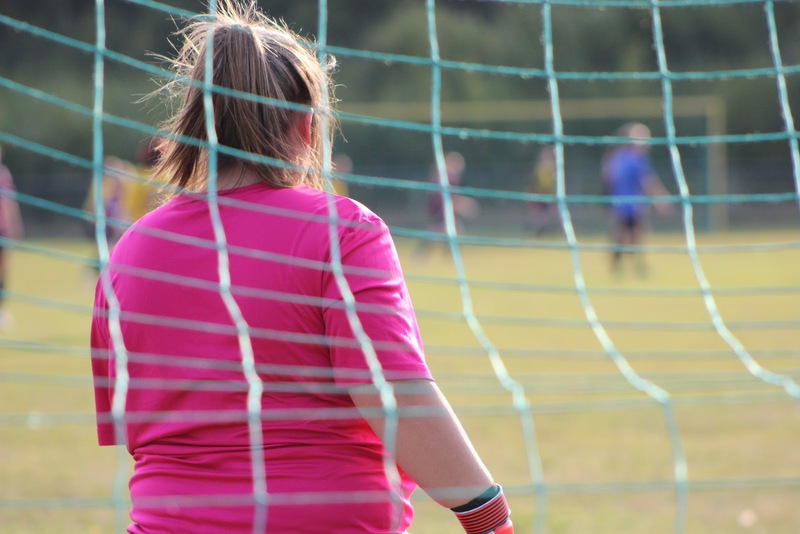 Layla Hallihan's extraordinary efforts in net ended with her first shutout of the season. The girls lost to Gretna Green 5-1. Caiden Hallihan scored for the Eagles. The girls beat Nelson 1-0 in a nail-biter, Abigail McEvoy had the game winning goal while Layla Hallihan earned herself another shut out in net. The season looks very promising for the girls. Senior Girls player, Marlee Schofield has high hopes for her grad year. 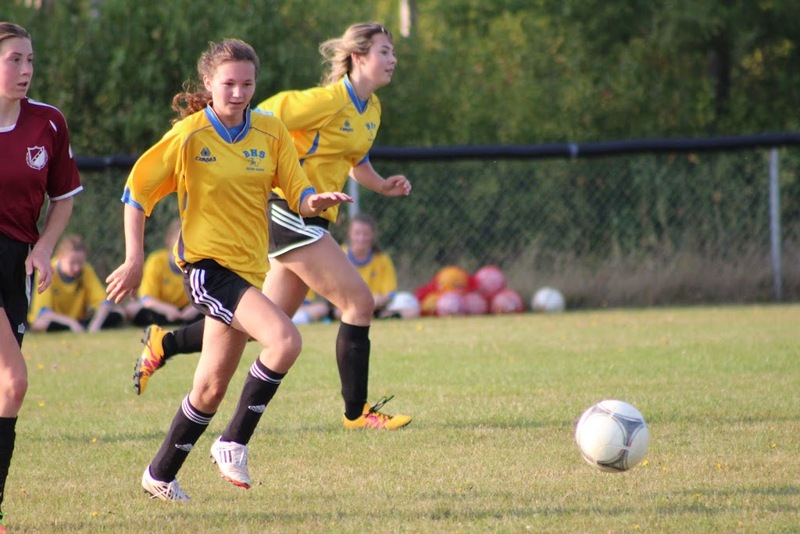 She believes that the team has a lot of potential to go onto Regionals and hopefully Provincials. "We suffered a huge blow with the loss of power forward Erin Moody, but we were able to rally back strong and continue on with our undefeated streak. As long as we continue to be first to the ball and win every battle, we should stay on track for an untouchable season. Filling the gap that losing Moody has created won't be easy but I know that we have the team to do it. We've shown how resilient we are so far and will continue to be. We've got lots of power up front and plenty in the back end too. We have an all-around team with great offence and fantastic defence, only the future will tell what is in store for us." We caught up with Senior Boys soccer captains Daniel Richard and Jesse Frenette. 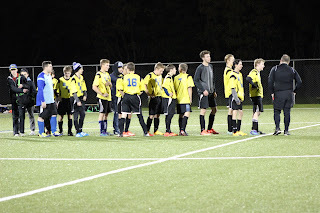 Daniel believes the boys have a shot to make it back to Provincials for a fourth straight year. "We have lots of goal scoring along with strong defence, we have a very fast team and have to use our speed to our advantage. Every year we have used our speed to our advantage if we want to continue to be a top caliber team we need to keep doing that. I think we have one of the strongest teams we've ever had and that gives me high hopes for winning another banner, after coming up just short last year. We have to keep practicing and working hard if we do then there's no reason we can't compete. I can't wait to see how the season goes," said Richard. Jesse Frenette believes the team is strong this year and has high hopes of going far this season. "I believe all around we have a strong team. We have great strikers and athletic mid-fielders. Our full-backs are nothing to slouch on either we have some great defensive powers. Keeping in shape is going to be important this year; we have to continue practicing and working on our rough spots. We have a very athletic team this year, and we have to capitalize on our speed. I think we have a provincial caliber team this year and as long as we stay supportive and help each other along the way we should do quite well," explained Frenette.